It's time for babies to start leaving their nest around here. 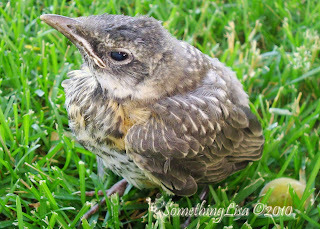 We found a robin fledgling sitting on the ground under one of our peach trees this evening. Annie and I walked right up to him without him moving an inch. He seemed to be sleeping and gathering energy for the next phase of life. We poked him to make sure he was still alive - he was. 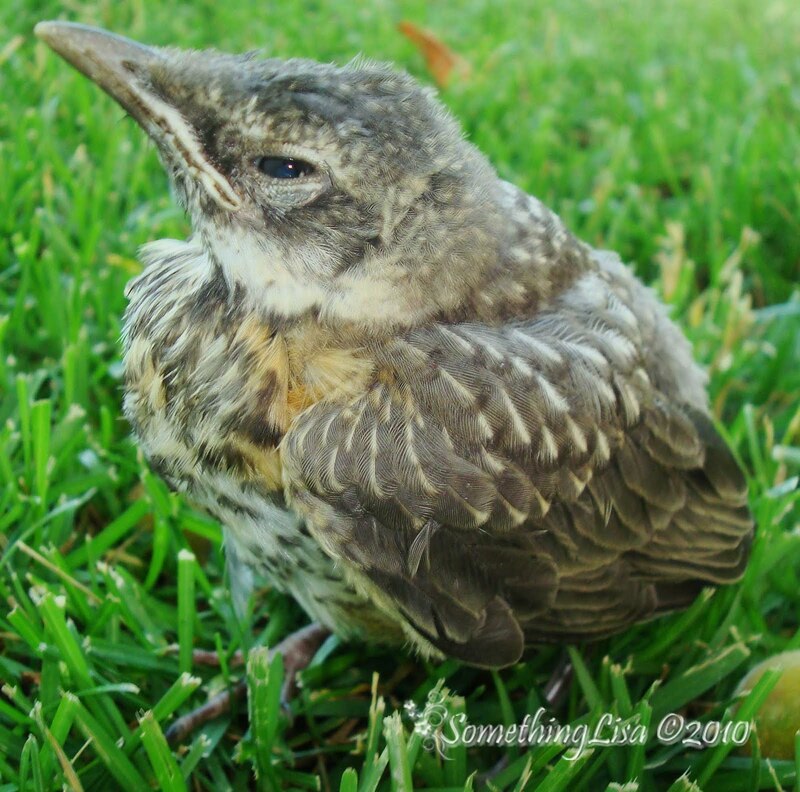 His parents were up on the electric wires keeping a close eye on him. We worried about him and checked on him several times as well. With a little internet research I found that we should leave him alone and let his parents work things out with him. However the article said that if we were concerned for his safety we could see if he would sit on our finger and then put him on a tree branch to get him up away from danger (aka - Cougar, the cat next door). I picked him up and he screamed bloody murder. It was quite cute actually but I got him to sit on my finger where he sat contentedly. 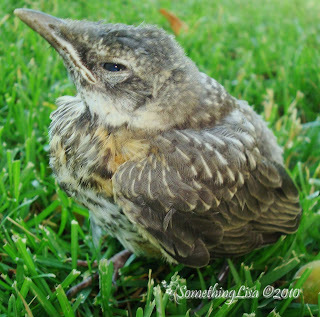 (And btw "Don't touch baby birds because their parents can smell you on them" is an old wives tale) I then put him on a tree branch but he "fell gracefully" back to the ground. I guess he likes the grass. 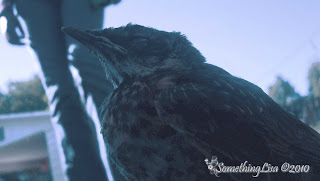 Crazy bird. The girls went out one last time to check on him tonight and when they picked him up to attempt to put him in the tree themselves he screamed and Momma dive bombed! They came running into the house screaming. I think his Momma has it covered. I've had two of my baby birds leave the nest (again) recently. My oldest has moved out for the next six weeks while working with high school aged kids in the Upward Bound program. He will return home for about two weeks before he spreads his wings and flys off to start his Law/Phd program in the fall. My second child has flown off to San Francisco where she is working as an intern doing some technical writing for the state of California. She is living with my sister and having a great time. I suppose I should feel sad at having half of our nest gone but I know they are both doing well on their own and will call me in a heartbeat if they aren't. Besides, I still have two others to give flying lessons to.